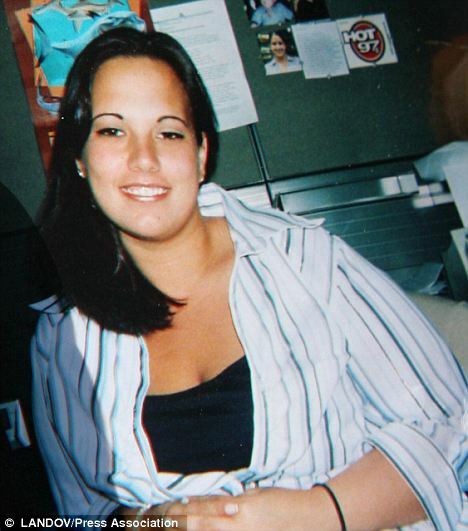 In spring of ’09, Caroline Wimmer, 26, was strangled to death with her hair-dryer’s cord in her own apartment in Staten Island. When 46 year old paramedic Mark Musarella – a retired and decorated NYPD Emergency Services Unit detective – arrived on the scene after responding to a 911 call, he did something only serial killers and murders do. He took trophy photos of the dead woman and then posted them on his Facebook wall. Musarella was subsequently convicted on 1 count of “official misconduct”, stripped of his EMT certification and sentenced to 200 hours of community service. He did no jail time! Now, the dead girl’s parents – Martha and Ronald Wimmer – are suing the social network site on which Musarella posted to photographs of the victim – Facebook. In a lawsuit filed on Friday, the Wimmers have asked Facebook to hand over the photos, identify all Facebook users who have viewed or downloaded it and destroy all the images in its possession. In addition to suing the social networking site, the Wimmers have also named the landlord of the apartment building where their daughter was murdered, for failing to properly secure the building. Greenleaf Arms – the apartment complex where Ms. Wimmer was brutally murdered. The 1996 Communications Decency Act, which says “no provider or user of an interactive computer service shall be treated as the publisher or speaker of any information provided by another information content provider.” could also work in Facebook’s favor if at all the suit is allowed to move forward. One Response to "Murder Victim’s Parent Sue Facebook For Gruesome Photos Posted By Creepy Paramedic"
As a physician misbehavior investigator, I am pleased to say that very, very few cases that cross my desk involve criminal Paramedics. This type of mental midgetry usually is the result of daffy doctor behavior – to the tune of almost exactly 50 cases per week. I agree completely with the author of this article, in that faulting Facebook is baseless, as are the naming of the City, the Medical Center and the Fire Department. I have no doubt but that these are the “deep-pocket” targets of the money-gouging attorney representing the family. Incidentally, perpetrator Musarella is either an “EMT” or a “Paramedic.” They are not the same, and accuracy is imporant in reporting a story.